East Brunswicks Residents may register by appointment only. Out of District residents can register starting April 8th by appointment only. Community Programs is proud to offer the Early Learning Academy. The Early Learning Academy provides parents of 3 and 4 year-olds the opportunity to register their child for a 5 day/week, developmentally appropriate early learning experience within the school district. This fee-based, parent-pay program offers a Menu of Options making it possible for children to participate in a half-day, extended half-day, regular school day or a regular school day with early morning and/or after school care structured preschool experience. The curriculum design and implementation will be based on the New Jersey Department of Education's Preschool Teaching and Learning Standards and the Preschool Implementation Guidelines. Certified supervisors with expertise in the field of early childhood and school readiness oversee the planning and preparation for the program. The plans will be implemented by experienced and caring staff, most of whom will hold teacher certification. PLEASE COMPLETE STEPS 1 THROUGH 3 LISTED BELOW. A. Print enrollment packet by clicking the links below. Print one packet for each child you are registering. This packet must be filled out prior to your scheduled registration appointment and brought with you. B. Compile other required documents. Two additional proofs of address: At least two different utility bills, currently dated, which include parent/guardian's name and reflect East Brunswick address. (i.e. gas, electric, cable, water/sewer, etc.) Printed confirmations of utility service or printed online statements are acceptable at the time of registration. Follow up with current utility bills must take place within 30 days of registration. You must bring all required documents and completed enrollment packet on your registration appointment date. Enter preliminary information into our system HERE. Make sure to bring all completed forms and required documents with you to your registration appointment. If you are unable to print the enrollment packet, please make note of this when making your appointment. In this case, you should plan on arriving 20 minutes early to allow adequate time for filling out forms. FOR REGISTRATIONS, PLEASE COMPLETE STEPS 1 THROUGH 3 LISTED BELOW. THERE ARE THREE STEPS IN THE REGISTRATION PROCESS. A. Print enrollment packet by clicking the links below. Print one packet for each child you are registering. This packet must be filled out prior to your registration appointment and brought with you. 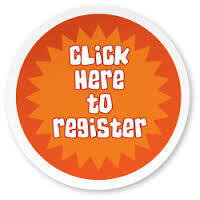 You must bring all required documents and completed enrollment packet to your scheduled registration appointment. Have you completed steps 1 and 2 listed above? If so, continue to step 3. Dear Parents/Guardians, click below to view letter regarding the lunch ordering system for students enrolled in the Early Learning Academy (ELA).